India is known world over for its religious diversity. Different cultures bringing in different faith stories, different rituals and different beliefs are followed all over here. Each community has a belief in different supreme deity and there are many temples in the country which are known to grant wishes of the deities. But there are a select few temples in the country which are known for visa clearing! Yes, there are some temples in India which have a reputation for granting visa clearance to people. There are four temples in the country which are known for clearing all difficulties when it comes to visiting abroad. Especially if you are worried about your visa not getting cleared, how about paying your visit to these temples? New Visa Rules for Indian Passport Holders Makes International Travel Lot Easier to These Countries! Planning a trip abroad is a hassle if you don’t have a visa to the particular country. So visa application process needs to start well in advance. 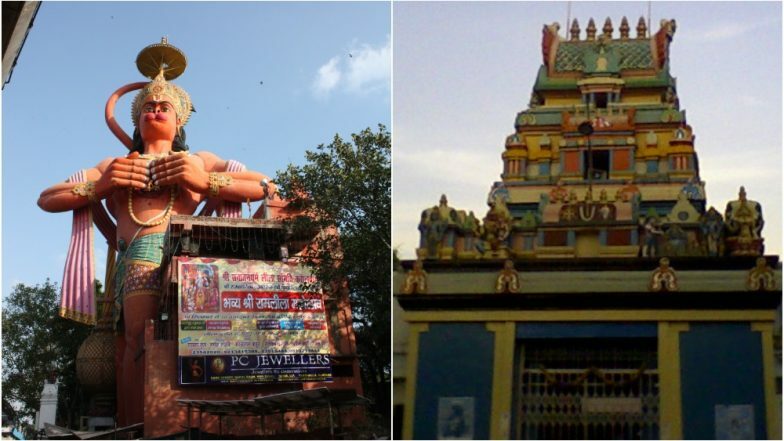 While the approvals depend on the country’s embassy, in India there are temples which supposedly grant your visa wishes! Let us look at these temples which are known to clear your visa troubles. 5 Ways to Survive Long-Haul Flights. Lord Balaji in this Hyderabad temple is also called as Visa Balaji. Over thousands of devotees gather here with their passports every day. Keeping your passport near the deity is said to fulfill your travel wishes. It is an ancient Hindu temple located on the banks of Osman Sagar in Hyderabad. The story behind this goes in the 1980s, few students who had their visa rejected paid a visit to this temple, soon after their visas were granted. So over the years, it has gained the reputation of granting visas after the traditional rituals here. Aspiring US candidates are frequent visitors here. Located in Jalandhar, the Shaheed Baba Nihal Singh Gurudwara is known as Aeroplane Gurudwara. What’s really surprising is, while most temples see the offering of sweets and flowers, here toy aeroplanes are offered before the lord. So it is a very common sight to see toy planes adorning all shops around this Gurudwara. There is a prominent belief that praying here will help you to visit your favorite abroad destination successfully. World's Most Powerful Passports for 2019: India Ranks 79th, Jumps Two Positions From Last Year. Lord Hanuman is known for the legendary story of flying over to Lanka. The God is thus also said to grant your wishes about flying abroad. The Pavan Putra Hanuman, is said to grant your wishes and clearing any visa troubles. Over hundreds of visa applicants visit this temple over the weekend. He is called the Visa Hanuman and people have recounted experiences of getting their rejected visas approved after paying a visit here. The Hanuman Statue in the capital city is very famous for its huge structure. Based in Connaught Place, the ancient temple is said to be one of the five temples from the Mahabharata days. Lord Hanuman here too has a reputation of granting visas for people. Those who get their visa approved come back to the temple and leave a note about their experiences. So, many visitors are seen here coming with their passports, hoping to fly abroad. As weird as it may sound, but these are the prominent beliefs of the above temples. Those who have had a trouble travelling abroad maybe you should pay a visit here and experience it yourself. If you have dreams of flying high, then try visiting these temples before you book your tickets.